In numerology, every number has its master planet. This planet impact on our number. This number would be our birth date or name. Also, our vehicle, home and phone number impacts on our life. The use of right number provides quick results. In astrology, Mercury is very important planet for wealth. In numerology, its number is 5. This number is full of Mercury properties. This number has intelligence, talent and money. This number also has property of management. Those who born on 5, 14 or 23 date of the month. Those whose birth date, month or year total are 5. People whose name total is 5. People who born in May or June month, their number is 5. 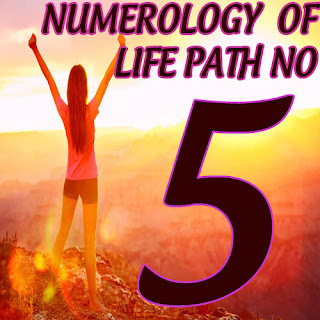 The number 5 slowly stable the life. A person starts his career at early age of life. He gets high position. This number provides money to the person. This number easily gets arrogance and finesse. Therefore, one should take control on themselves. The number 1, 2 and 3 is not suitable for you. Other numbers are good for you. The number 6 is very beneficial. Do not start important work on Tuesday. It is beneficial to do important work on Wednesday or Friday. Green and white color is also beneficial. They can wear emerald or peridot by consulting an astrologer. Good Luck: Chant Gayatri psalm on the day of exam or interview in morning. Chant it for 108 times. One definitely gets success.